If any electrical equipment does not operate and the fuses are in good condition, check the fusible links A in the holder. If any of the fusible links are melted, replace only with Genuine NISSAN parts. 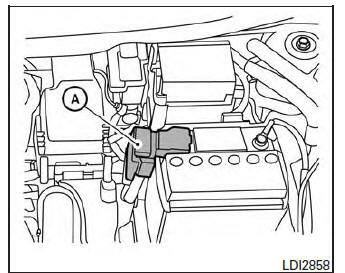 For checking and replacing the fusible links, see a NISSAN dealer.